Remember the Mojacar bypass idea? It’s back. The idea was to build a bypass behind the strip to allow residents to nip up and down the beach without using the congested beach road. In theory, a good idea, but residents of La Parata created such a fuss the whole idea was more or less dropped, in between them and the financial crisis. Anyway, at a meeting on Monday, the mayors of Mojacar and Garrucha, together with the Junta, signed a memorandum to change the original 6km road to a new 2,5km plan. The road will come out of the roundabout near the petrol station and continue behind the hills, before meeting the coastal road before La Parata. The original plan will now go back to the tecnicos to be revised and adapated before a budget can be assigned to it, but will be developed. Rosmari said that although she could not comment on any budget until the tecnicos finished the plan, if the original road would have cost 13 million euros, this one would cost about a third of that. 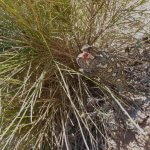 This entry was posted in Blog and tagged mojacar, mojacar bypass by David. Bookmark the permalink.